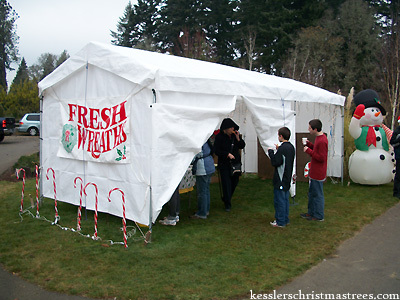 Commercial quantities available this year. Grand fir 5' to 7', 800+ and Douglas fir 5' to 8', 800+. We will cut, bale and load into your truck. Very competitive pricing, come take a look. 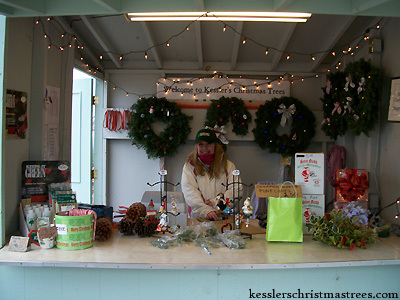 Call Mike or Gerri at 541-746-1926.
kessler's christmas tree farm, kessler's christmas trees, pleasant hill oregon, choose and cut, Christmas Trees, choose and cut, family time, personal selection, cut your own, hot chocolate & cookies, beautiful trees, out on the farm, douglas fir, grand fir, noble fir, kesslers trees, christmastime, nostalgia, tradition.